This week Marvel organised an EPIC event in Hollywood. They released the their slate of movies through 2019. The most exiting news came at the end, when Marvel announced Avengers: Infinity Wars Part 1 and Part 2. The two movies will be released seperately. Avengers: Infinity Wars Part 1 will hit cinemas in May 2018, Part 2 will be avaible on the silver screen in May 2019. During the event, a teaser trailer was shown for possibly the biggest Marvel event in the history of the studio. It shows a collection of footage from previous Marvel movies. 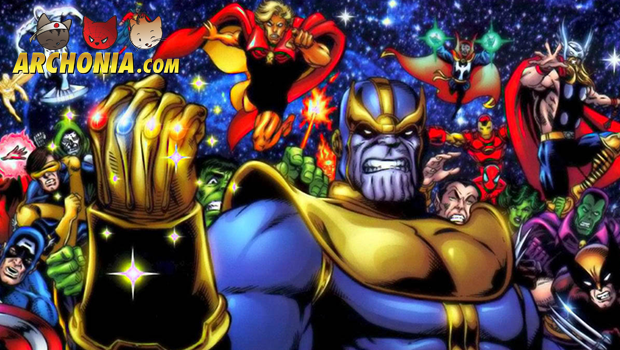 In the end we can clearly see the Mad Titan Thanos wearing the Infinity Gauntlet. Yikes! Besides this Avengers: Infinity teaser trailer, we also have the entire presentation video. Be warned, the video quality is pretty bad, but the information we get here is very interesting!